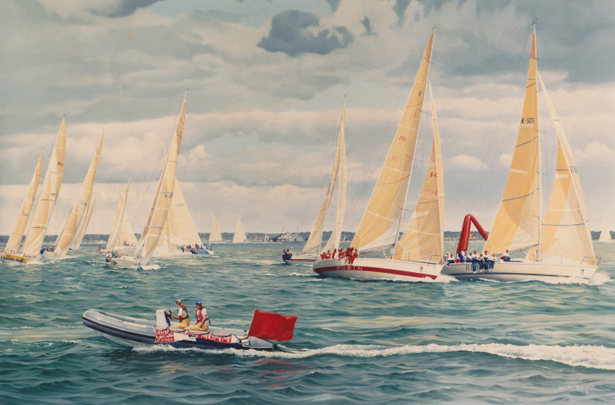 Admiral’s Cup yachts racing around the tetrahedral mark located off Yarmouth Isle of Wight. In the distance is the car-ferry coming out of Lymington. As can be seen by the rib, the sponsors were Mumms Champagne!